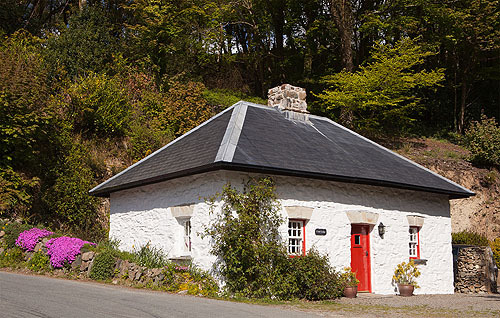 A cottage near the road to Llanllawer Church . This building was in ruins and without a roof until it was restored in 2006 . This was the Lodge for Court (Cwrt) Mansion, on the hill above, which is in a decayed state.